Big Life’s vision is to help bring an end to the rampant poaching in the Amboseli ecosystem. Big Life believes that when conservation supports people, people support conservation. It works with local communities in Southern Kenya and Northern Tanzania to prevent illegal killing of wild animals. Here one of the largest elephant populations in East Africa is under constant pressure from ivory poaching and retaliatory killing by farmers or pastoralists. The precious black rhinos are at risk of being killed for their horns. Predators like lion and hyena also suffer retaliatory attacks, and many other species are hunted as bushmeat. Big Life creates conservation-based benefits for people. It has become the largest single employer in the area. 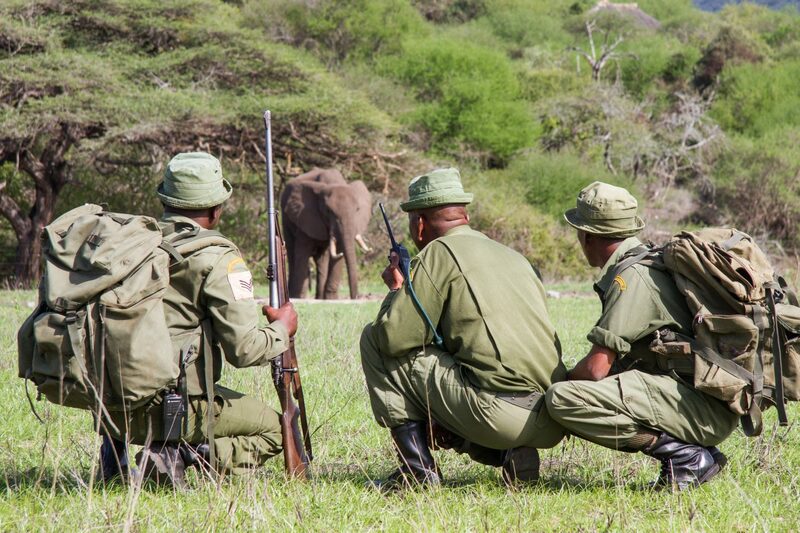 Local staff conduct monitoring and anti-poaching patrols from 31 outposts and 15 vehicles, leading to a dramatic decline in poaching since 2010. Monitoring efforts are enhanced with aerial surveys, whilst tracking dogs are used to hunt down poachers. Farmers and herders are compensated for losses caused by wildlife. At the same time, education is supported within communities through funds for teacher salaries and student bursaries. Tusk has supported Big Life for many years, helping it to establish the broad patrol network that it currently operates. The impressive drop in poaching across its area of operation shows how effective this work has been. But still there are places where patrols must be intensified or expanded. More support is needed for this crucial project to reach all areas of the huge habitat it is protecting.